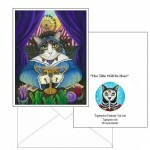 Madame Zoe Teller of Fortunes - Note Card - AKA The "Queen of Cups" for the 78 Tarot Carnival Deck. 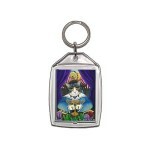 ..
Madame Zoe Teller of Fortunes - Keychain - AKA The "Queen of Cups" for the 78 Tarot Carnival Deck. 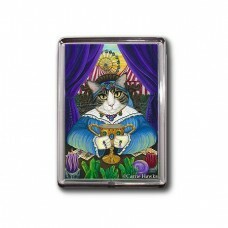 T..
Madame Zoe Teller of Fortunes - Magnet - AKA The "Queen of Cups" for the 78 Tarot Carnival Deck. The..
Madame Zoe Teller of Fortunes - Ring - AKA The "Queen of Cups" for the 78 Tarot Carnival Deck. The Q..
Madame Zoe Teller of Fortunes - Cuffed Bracelet - AKA The "Queen of Cups" for the 78 Tarot Carnival ..
Madame Zoe Teller of Fortunes - Bookmark - AKA The "Queen of Cups" for the 78 Tarot Carnival Deck. The Queen of Cups is a card that represents compassion, empathy, intuition, dependability & discreetness. Who more at a carnival than the resident fortune teller would have all of those characteristics. 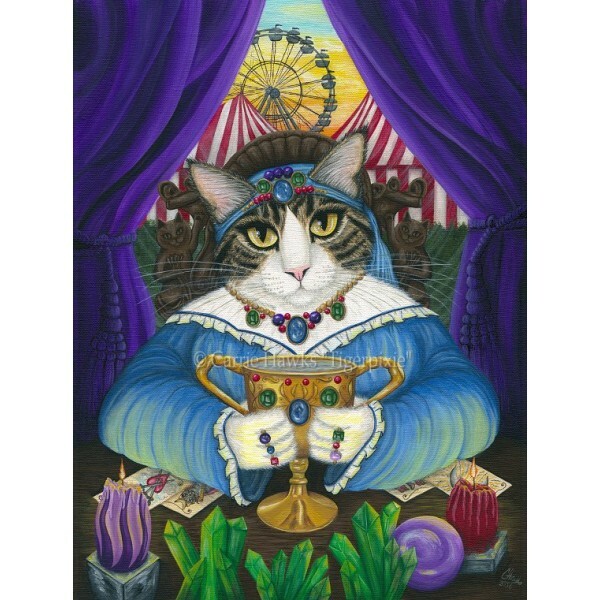 So I decided to portray my Queen of Cups as a queen cat fortune teller inside her eccentric wagon at the carnival. 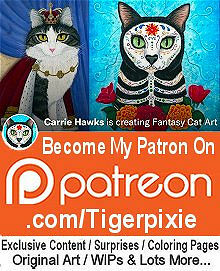 My own kitty Zoe was my model for the Queen. She is "Madame Zoe Teller of Fortunes" so this card is extra special for me. Madame Zoe Teller of Fortunes - Note Card - AKA The "Queen of Cups" for the 78 Tarot Carnival Deck. The Queen of Cups is a card that represents compas..
Madame Zoe Teller of Fortunes - Magnet - AKA The "Queen of Cups" for the 78 Tarot Carnival Deck. 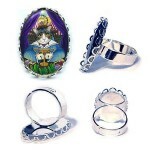 The Queen of Cups is a card that represents compassio..
Madame Zoe Teller of Fortunes - Ring - AKA The "Queen of Cups" for the 78 Tarot Carnival Deck. 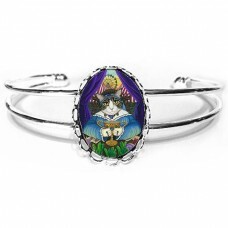 The Queen of Cups is a card that represents compassion,..
Madame Zoe Teller of Fortunes - Cuffed Bracelet - AKA The "Queen of Cups" for the 78 Tarot Carnival Deck. 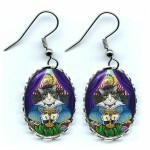 The Queen of Cups is a card that represents ..
Madame Zoe Teller of Fortunes - Earrings - AKA The "Queen of Cups" for the 78 Tarot Carnival Deck. 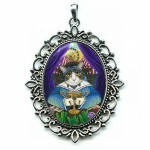 The Queen of Cups is a card that represents compass..
Madame Zoe Teller of Fortunes - Cameo Necklace - AKA The "Queen of Cups" for the 78 Tarot Carnival Deck. The Queen of Cups is a card that represents c..
Madame Zoe Teller of Fortunes - Prints - AKA The "Queen of Cups" for the 78 Tarot Carnival Deck. 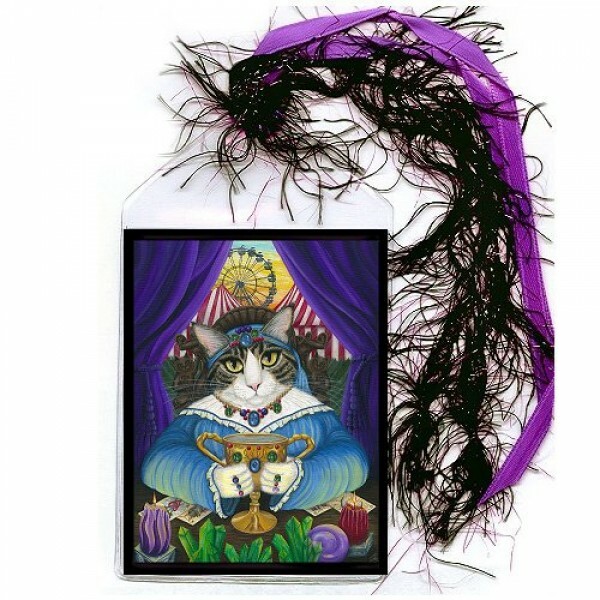 The Queen of Cups is a card that represents compassio..
Madame Zoe Teller of Fortunes - Limited Edition Canvas Prints - AKA The "Queen of Cups" for the 78 Tarot Carnival Deck. The Queen of Cups is a card th..
Madame Zoe Teller of Fortunes - Original Painting - Size; 12" x 16" Medium; Acrylic on Canvas Sheet. 2016 - AKA The "Queen of Cups" for the 78 T..